What do you teach after cvc words? 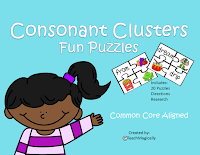 Once students have learned the difficult task of spelling cvc words, you should teach and practice the consonant clusters. It starts at about a level E if you use F&P but I also discuss it during "kidwriting" as it comes up in stories. Consonant clusters is the name given to two or three consonants that appear together in a word. Each consonant retains its sound when blended. The term cluster refers to the written form, and the term blend refers to the spoken form. 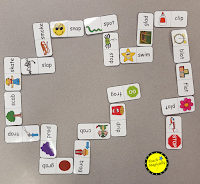 So you can combine phonics and phonemic awareness seamlessly! You can find fun puzzles that practice clusters and blends together by clicking the picture. 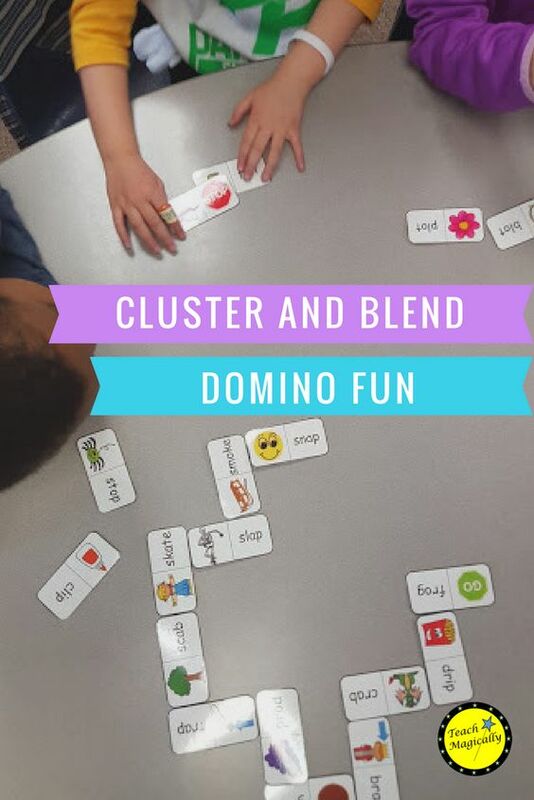 Check out the cool way we connected the Cluster/Blend Dominoes. First you read the word with the cluster then you must find the clip art blend that matches. It really works the brain; it's so much harder than looking for a matching picture. The consonant blend sc can stand for the /sk/ sound as in scare or the /c/ can be silent as in science. Also, the consonant cluster ck represents one sound - /k/. Most other consonant clusters will almost always stand for the blended sound of each consonant, which makes them very reliable and worthy of teaching. Would love to hear the fun things you use to teach clusters and blends in the comments. Remember to "Teach Magically!"